A'Torri Shine's 19 first-half points got the Tigers started on Monday night . . . and by the time they were done, they were finally winners again. It’s been quite a long, dreadful journey, but Grambling State has ended its 32-game losing streak, beating NAIA school Central Baptist of Arkansas 83-75 on Monday night. It was Grambling’s first win since March 3, 2012, against Alabama A&M, after finishing 0-28 last season. The win also stopped a 25-game non-conference losing skid, going back to 2010. The game was delayed for nearly 70 minutes because the officials weren’t there for the opening tip. When the game finally started, the Tigers went on a 13-4 spurt and led 24-18 at the 8:33 mark. 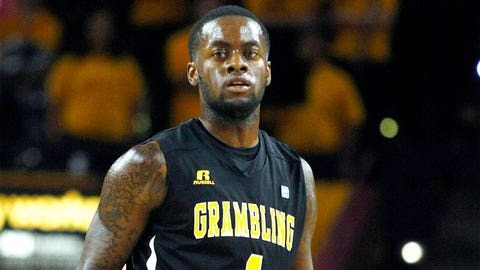 A’Torri Shine scored 19 in the first half for Grambling State. Central Baptist kept battling back and trailed 38-36 at halftime. The Mustangs shot 65 percent in the first half. But Grambling State pulled away in the second half, as Remond Brown’s 3-pointer gave them a 61-50 lead with 7:54 remaining and the Tigers were never threatened again.